Last October (2011), Tara filed 11 medical board complaints after obtaining 911 calls in a public records request. 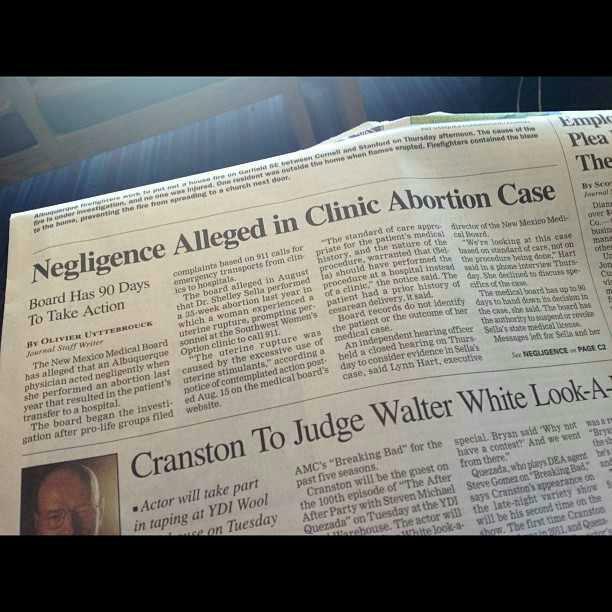 One of those calls documented a 35 week abortion that had gone seriously wrong and the outcome was a woman with a ruptured uterus. The patient had actually had a previous C-section which increases the risks during an induction abortion. To make matters worse the medication used to increase contractions in labor were overused during the abortion and led to the ruptured uterus. We don’t even know if the woman lived or died. 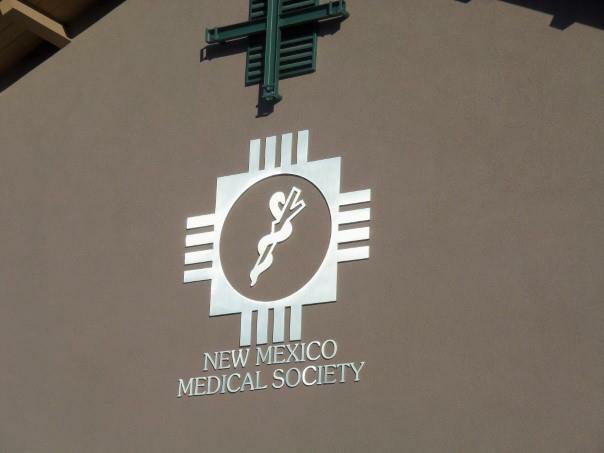 According to the NM Medical Board this abortion violated the standard of patient care and the late term abortionist responsible, Shelley Sella, faced a disciplinary hearing on November 29th and 30th. We’re finally starting to see those who think they are above the law, held accountable. It will take 90 days for the Medical Board to decide what action will be taken against Sella, she could be suspended or lose her medical license altogether. Please keep the outcome in your prayers. We did attempt to attend the Medical Board hearing, however, it ended up being closed to the public. In a state that has an open meetings act it was pretty disappointing to be excluded from this hearing. 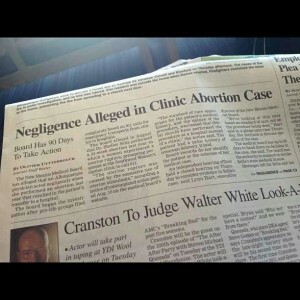 Unfortunately NM continues to show its pro-abortion bias on many levels. Even though the Medical Board and Shelley Sella herself wanted this hearing to be private we made sure that the community was well aware of what was taking place. We had Cheryl Sullenger from Operation Rescue join us for a press conference the first morning of the hearing and we had several news outlets cover this story. It’s really time for people to be enlightened to the fact that late term, full term abortions are legal in NM and women are suffering at the hands of these abortionists. By God’s providence we did just that and will continue to expose the deeds of darkness until abortion is abolished in this state. 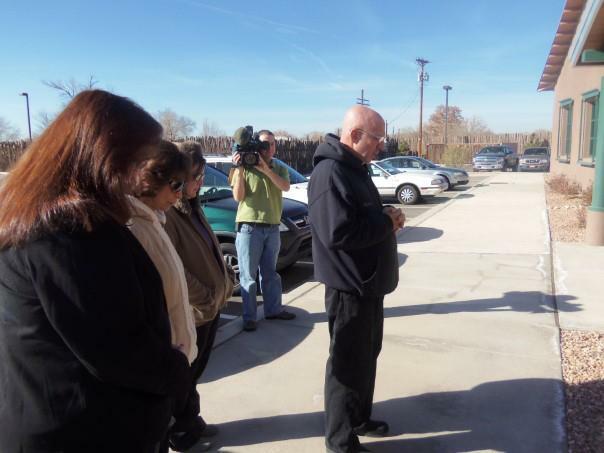 Here is some of the news coverage we have received over the past two years in New Mexico!